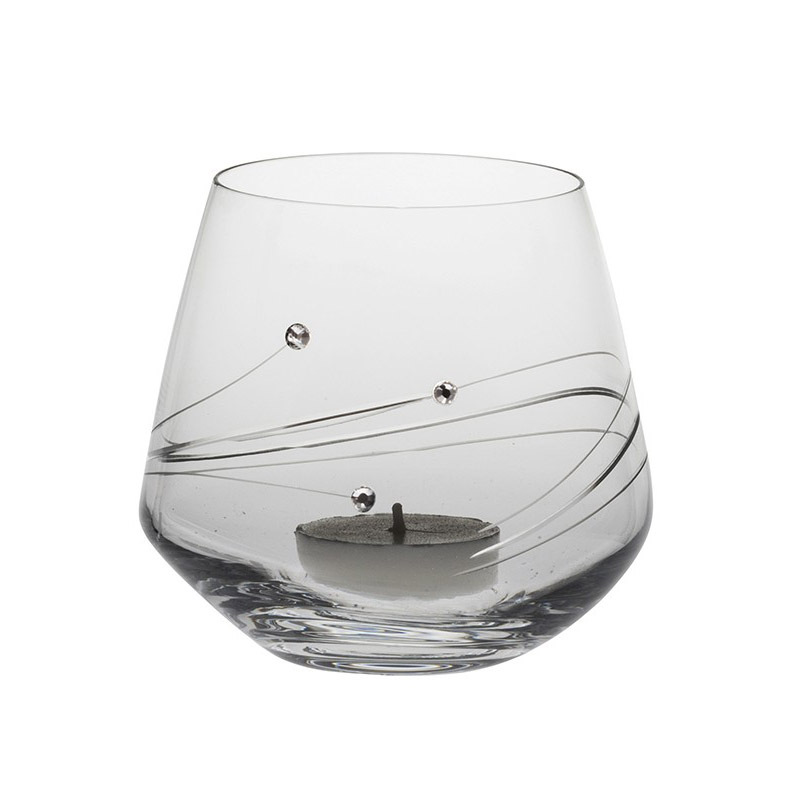 This stunning new Votive is part of the Diamante Giftware collection. This contemporary hand cut crystal votive will make a unique and glamorous gift. Decorated with Swarovski crystals.